Discover Casio PX860. In this Casio PX860 review; we will look at its features and specs to determine if it’s worth the value. 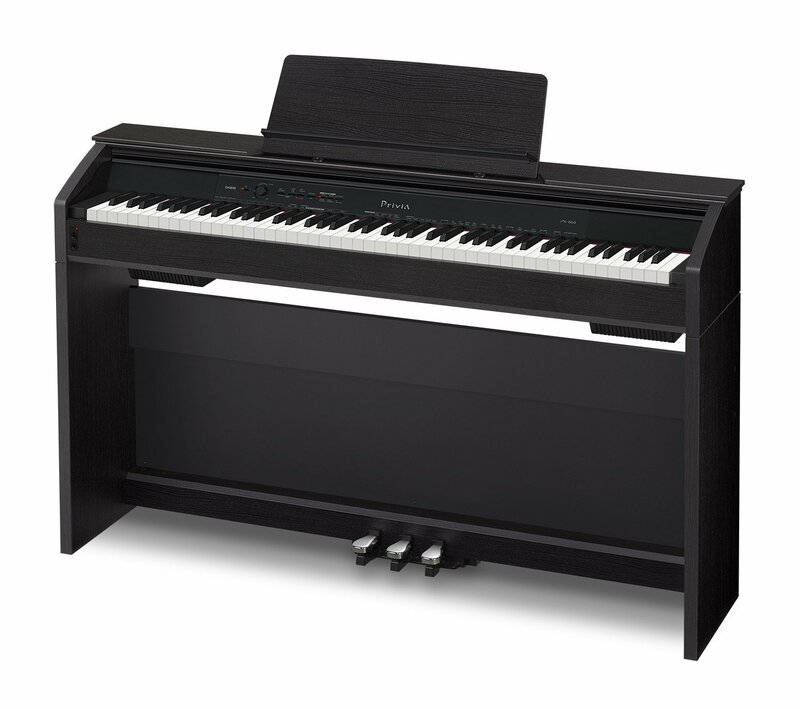 PX 860 digital piano replicates the sound and key action of a quality acoustic piano. With this keyboard you will be able to notice the achievements that have been obtained. Casio PX-860 is well designed and comes with an advanced AiR sound set which gives an extra level of realism, it includes grand piano lid simulation and sympathetic resonance. This piano comes in a stylish design with a combination of a new keyboard action and a powerful sound engine which offers a new level amazing experience. PX-860 provides the amazing sound of a nine foot concert grand piano as it utilizes casio’s new proprietary sound source “AiR. The grand piano sound carefully captured in stereo at 4 dynamic levels. It features Casio’s 88 note Tri-sensor Scaled Hammer Action II keyboard which is balanced to match the weight and resistance across the range of an 88 note grand piano. It also features simulated Ebony and Ivory textured keys for an incredible feel. Casio PX 860 action has 3 sensors which aid in capturing the dynamics of a performance with unmatched speed and accuracy. Casio PX-860 offers an impressive 256 notes of polyphony, and a selection of 18 instrument tones. The tones include stereo string ensembles, basses as well as electric pianos which are derived from Casio’s award winning PX-5S. It also provides split and layer capability which allows you to play bass in your left hand and have 2 layered tones in your right. The Duet mode splits the keyboard into 2 equal ranges, enabling two people to play at the same time.